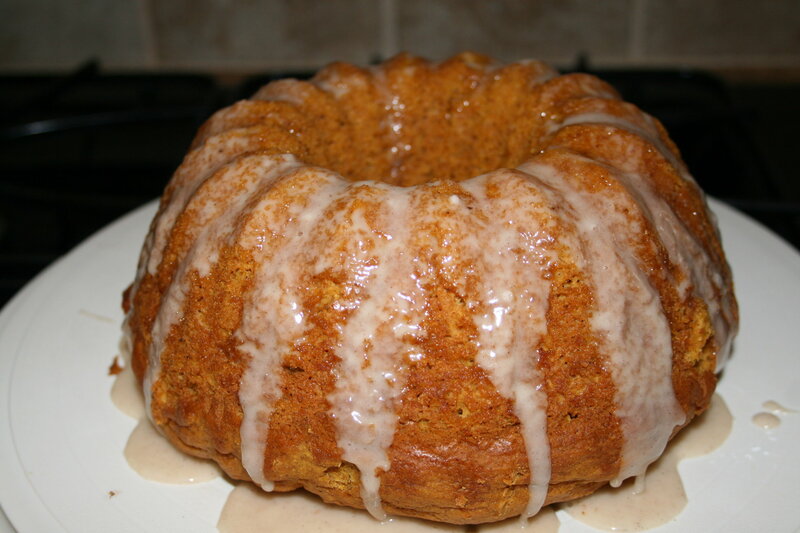 September 22nd is the first day of fall and I have the perfect way to celebrate – Pumpkin Bundt Cake. This recipe is incredibly easy to make. It also is extremely light and fluffy, so you’ll get the fall flavors without all the guilt. Go ahead and make it now, although there’s no guarantee there will be any left by Saturday. 2. Mix all ingredients together using an electric mixer. 3.Pour into greased bundt pan. 5. Mix last 4 ingredients to make the glaze. Drizzle on cake once it is cooled.